Paul Graham was inducted into the Canadian Football Hall of Fame's media wing during Grey Cup weekend in Edmonton recently. Photo: Submitted. There was lots to celebrate both on and off the field during Grey Cup weekend recently. Local resident and long-time Balmy Beach Club member Paul Graham was inducted into the media wing of the Canadian Football Hall of Fame at a pre-game ceremony in Edmonton. Known as “PG” to his friends, this Vice President and Executive Producer of Live Events with TSN is one of Canada’s most talented television producers. 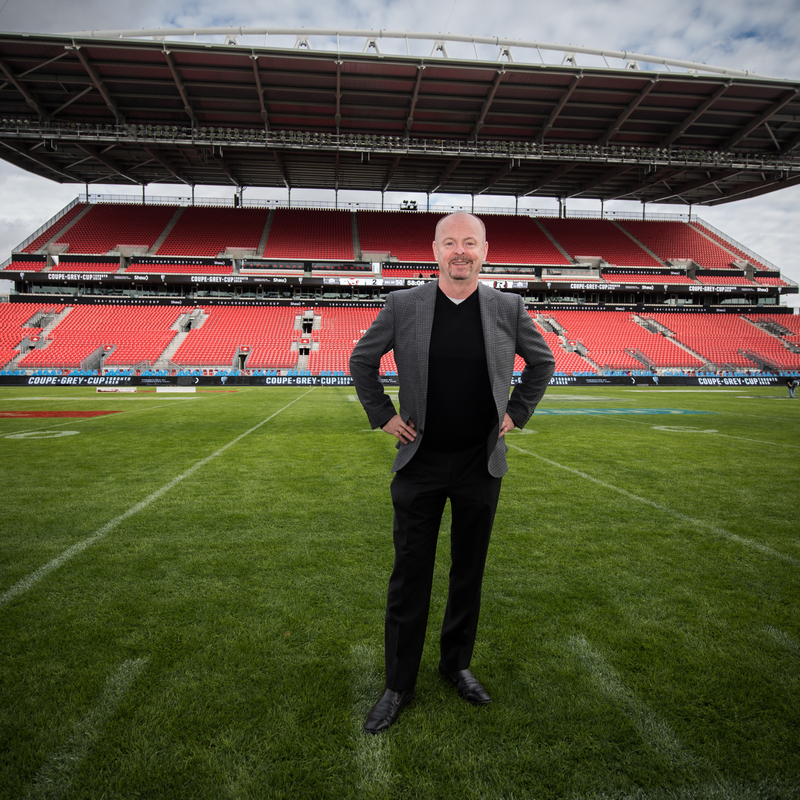 He has spent more than 30 years delivering upwards of 5,000 events – some of Canada’s biggest sports spectacles – to fans across the country and around the world. Born and raised in Edmonton, Graham graduated from college with a degree in radio and television and went to work on the Edmonton Oilers telecasts, including four Stanley Cup home victories. He moved to Toronto in 1987 to assist in the startup of the Canadian Football Network which cemented his long-time relationship with the league. He subsequently took on roles with Hockey Night in Canada as senior producer, including oversight of the Stanley Cup Finals. Graham’s credits include the Calgary 1988, Nagano 1998 and Vancouver 2010 Winter Olympics and most recently, the production of the Humboldt Broncos season opener. And, he refers to his responsibility for the annual hockey World Junior Championship every Christmas as “near and dear to my heart”. In addition to the Hall of Fame induction, one year ago Graham was awarded the Hugh Campbell Distinguished Leadership Award for his significant contributions to the Canadian Football League. He was recognized as one of Canada’s most well-respected producers who has worked tirelessly to evolve and enhance the production of live sports, including the past 10 Grey Cup games. You will find Graham most Friday nights at Ted Reeve Arena playing hockey for the Balmy Beach Club “blues” team. Mary Beth Denomy is the Community Director at the Balmy Beach Club.